Item # 312534 Stash Points: 5,995 (?) This is the number of points you get in The Zumiez Stash for purchasing this item. Stash points are redeemable for exclusive rewards only available to Zumiez Stash members. To redeem your points check out the rewards catalog on thestash.zumiez.com. 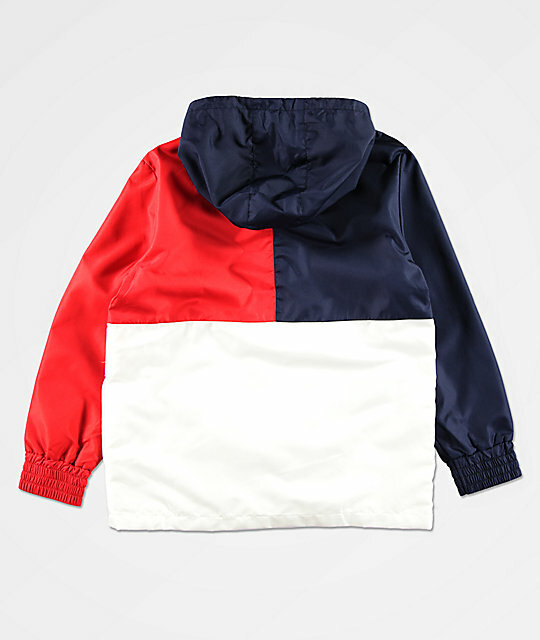 Gear up in a fashion-forward athletic style with the White, Red & Navy Windbreaker Jacket for kids from FILA. This half-zip jacket comes in a classic red, white and navy colorway and features two FILA logos screen printed at the front. With a mesh lined interior, a front pouch pocket and two side pockets, this is the perfect combination of fashion and function. 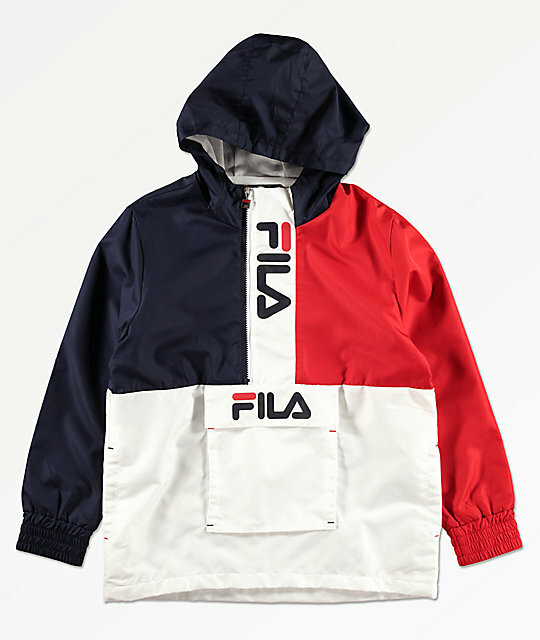 Boys White, Red & Navy Windbreaker Jacket from FILA. White, red and navy color blocked construction. Half zip closure with screen printed FILA logo. Front pouch pocket with hook and loop closure and screen printed FILA logo.